If you own multiple domains, chances are you’ve signed up for multiple hosting accounts as well. Many of us are accustomed to thinking that each domain name needs its own hosting plan. But, just because you want to install WordPress on each of your domains doesn’t mean you need to purchase separate hosting accounts for each. Say you have 3 domains and you want to run a WordPress site on each of them. Even if you were to use the lowest tier plan for each of them — the Starter plan which is $69/year — you would need to pay a whopping $207/year. But, did you know that all you need is just the Unlimited Hosting plan and you’ll be able to host all of your domains at a fraction of the cost? The Doteasy Unlimited Hosting plan includes features like unlimited websites, unmetered website space and monthly bandwidth, unlimited sub domains and email accounts. These generous features are designed to help you to manage and host all of your domain names on a single hosting account. 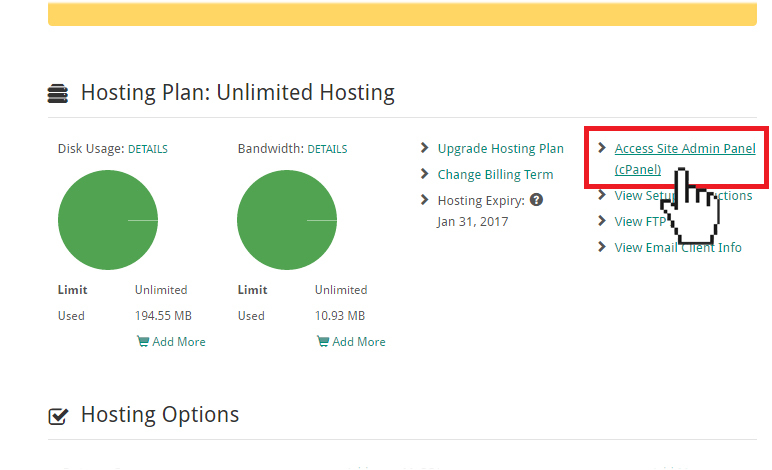 This hosting plan is regularly just $143.40/year. So instead of paying $207/year like in the previous example, you would only need to pay $143.40/year — which equates to $63.60/year in savings. The most impressive part is the more domain names you have, the more you will save. Why should you host your domains under one single account? Save money because you only need to pay for one hosting account. Less hassle because when you put all your websites under one account, you only need to deal with one renewal date, one control panel, and no additional hosting fees. 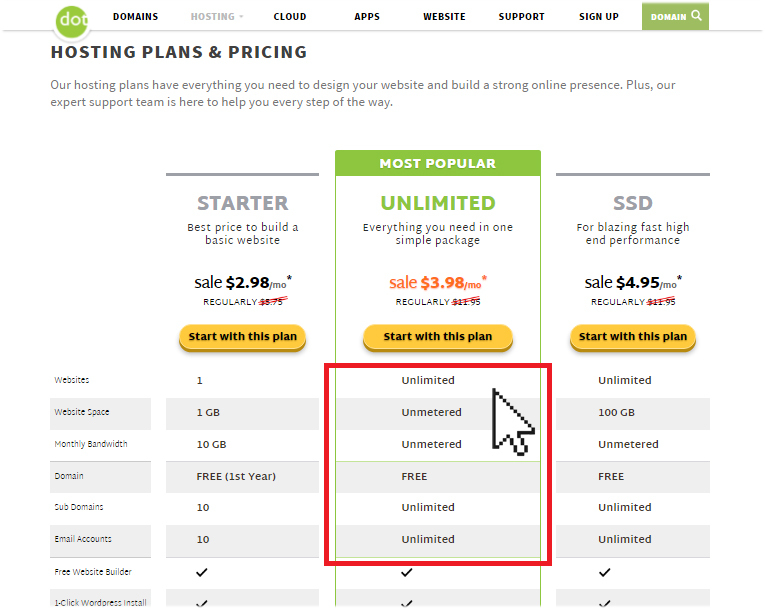 Once you have set up your Unlimited Hosting account, adding extra domains or websites to it is very easy. If you’re not on the Unlimited Hosting plan yet, feel free to get in touch with one of our customer support specialists and they will gladly help you get setup. How can I add additional domains onto my account? The add-on domain name is registered. 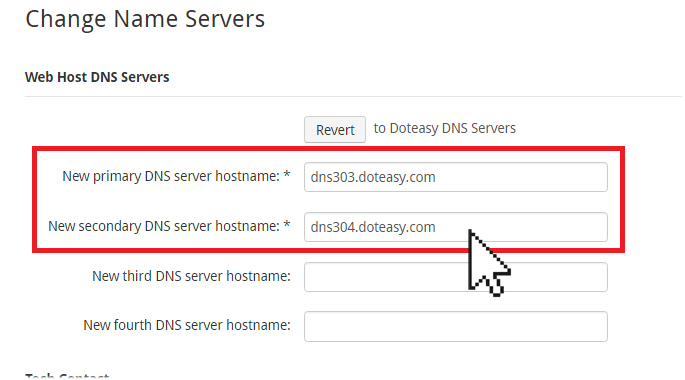 The add-on domain name is pointing to your Doteasy servers. If you haven’t registered the domain, you can do so using our signup form and selecting the No Hosting, just domain name registration option when prompted to choose a hosting plan. 1. 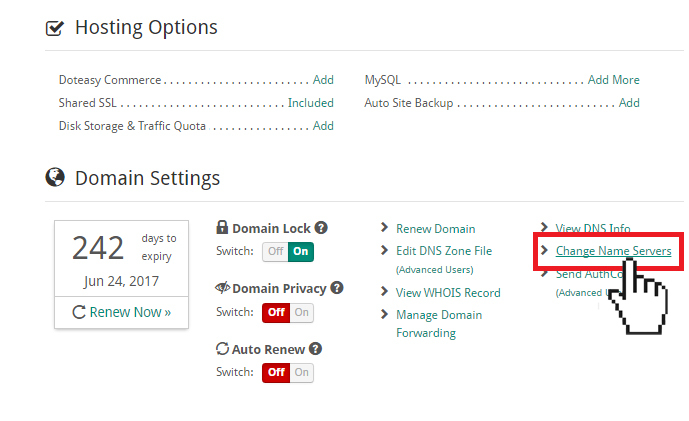 Login to your Unlimited Hosting account’s Member Zone and click on View DNS Info. 2. 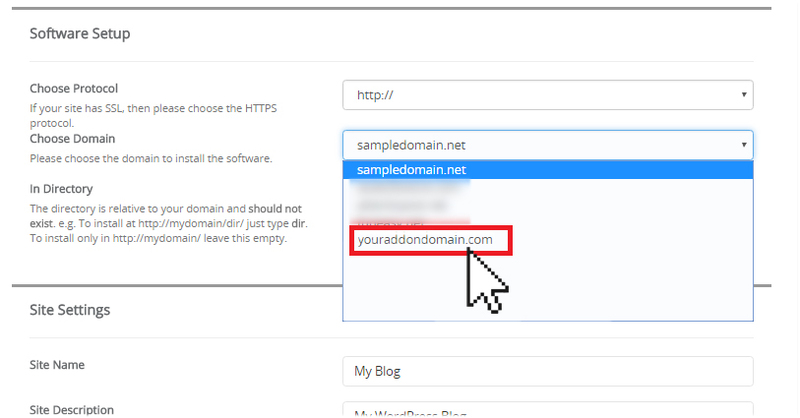 Here, you will find the DNS settings you’ll need for your add-on domain. 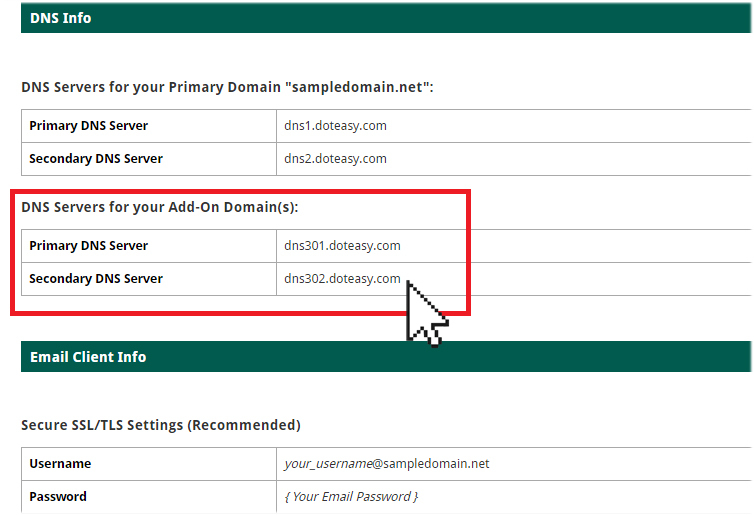 Copy the add-on domain primary and secondary DNS server information. Note: the DNS servers in the screenshot below are just an example. Your account might use a different set of DNS for your add-on domains. 3. Login to your add-on domain’s Member Zone and click Change Nameservers. 4. Paste the add-on primary and secondary DNS information that you had copied into their respective fields. 5. When ready, click Apply Changes to confirm the DNS changes. DNS may take several hours to completely take effect. Now that you’ve updated the DNS for your add-on domain, it’s time to hook it up to your Unlimited Hosting account. 6. 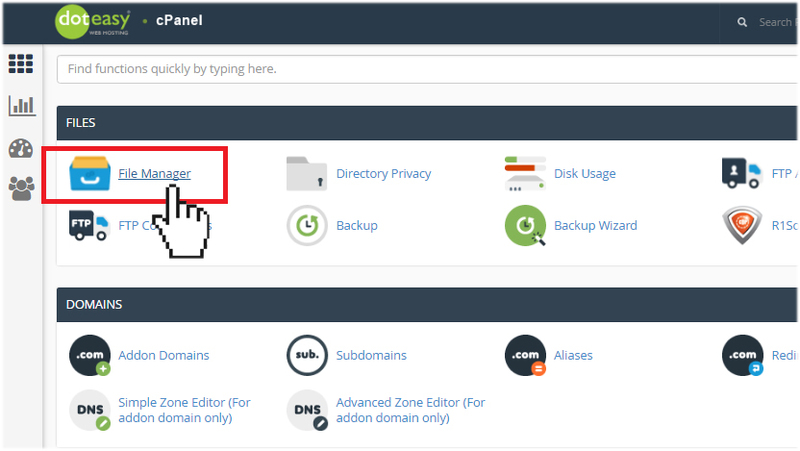 Login to your Unlimited Hosting account’s Member Zone and click Access Site Admin Panel (cPanel). 7. 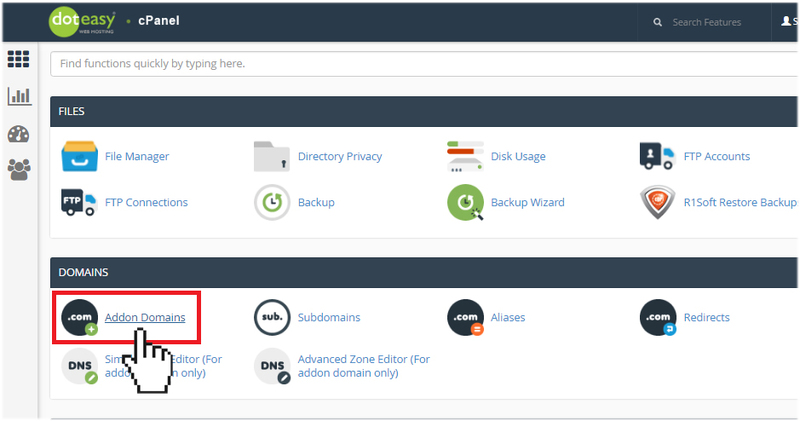 On the cPanel screen, click Addon Domains under the Domain section. 8. 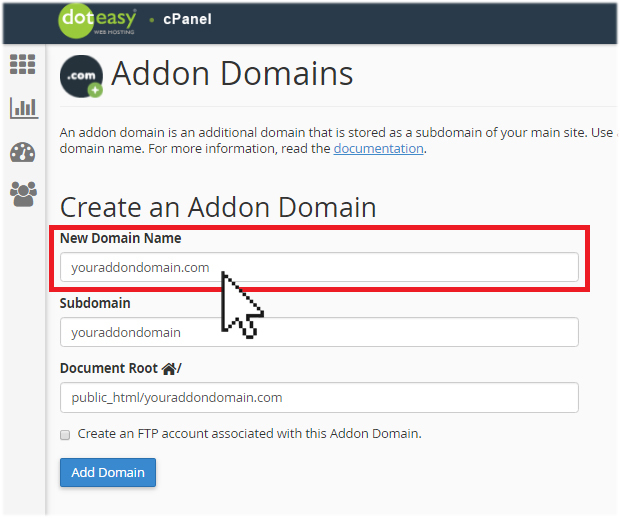 Under Create an Addon Domain, enter your add-on domain. You don’t have to worry about the Subdomain or Document Root fields as they will be auto-generated for you. 9. If you want to create an FTP account for this add-on domain, check the Create an FTP account associated with this Addon Domain option. Give the FTP account a password. When ready, click Add Domain. That’s it! 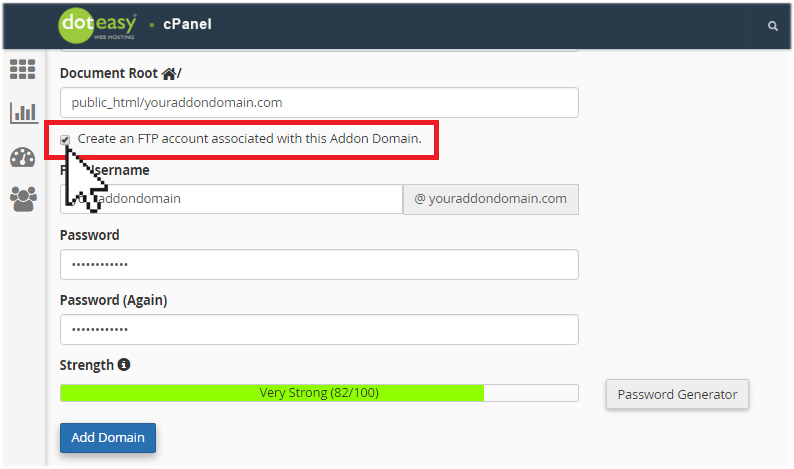 The add-on domain is now added on to your Unlimited Hosting account. How do I put my website up onto my add-on domain? 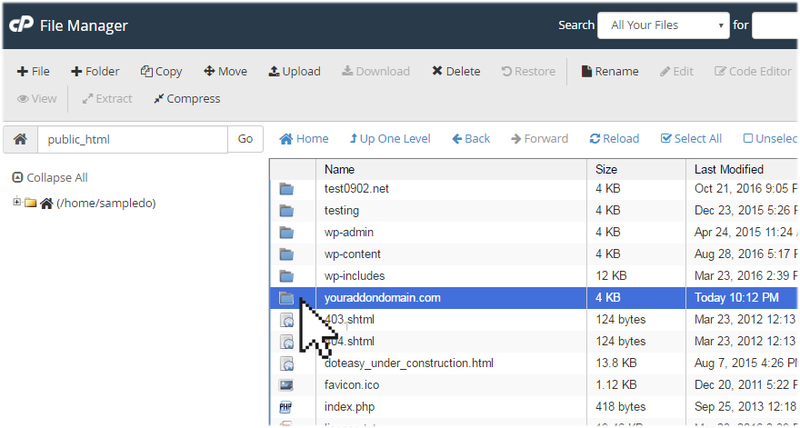 Once your add-on domain has been added to your Unlimited Hosting account, you can start uploading your website files. If you’re using FTP to upload your website files, simply use the add-on domain along with the FTP username and password that you’ve set up on your FTP client. 1. 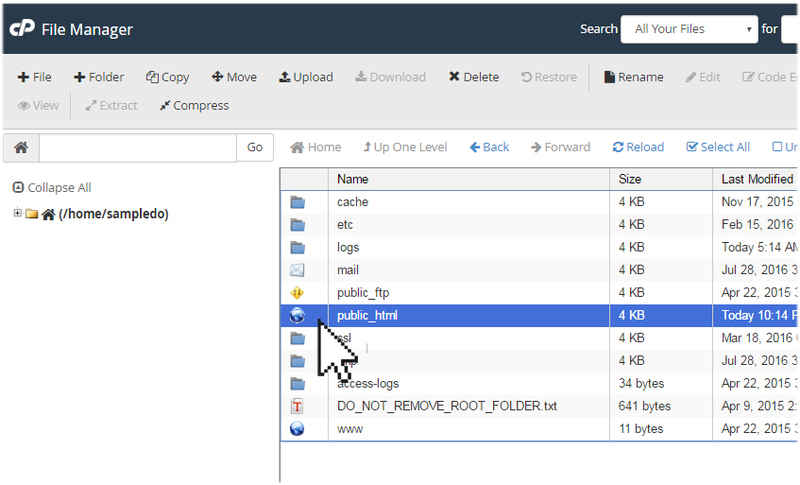 Click on File Manager within your cPanel. 2. On the File Manager screen, double-click on the folder public_html. 3. Find your add-on domain from the list of folders. Double-click it to open the add-on domain folder. 4. 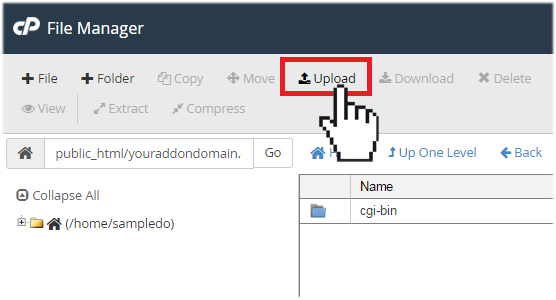 You can then upload your web files to the folder using the Upload function. 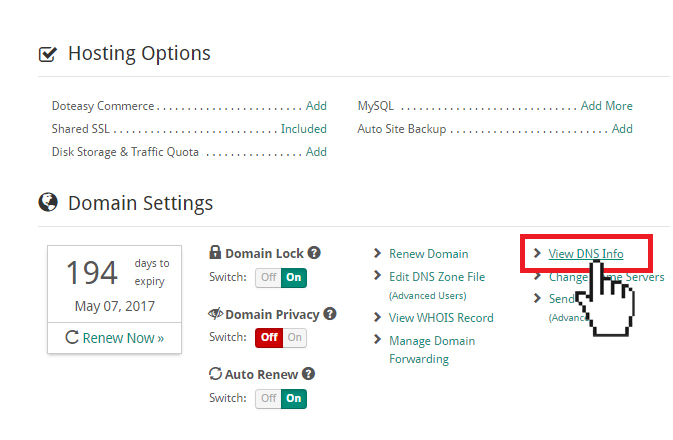 Can I install WordPress on my add-on domain? 1. 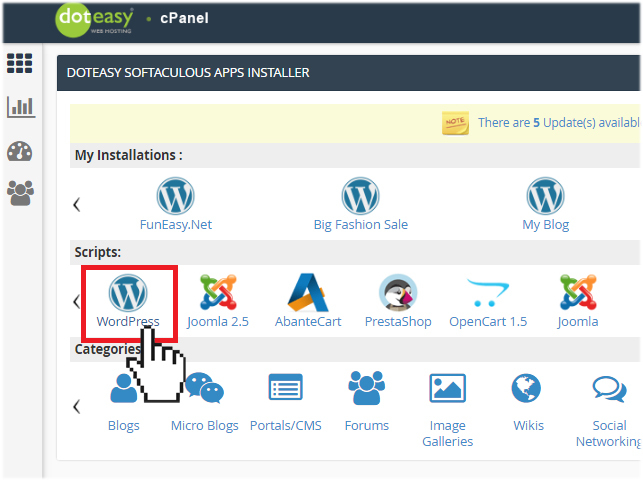 Click on WordPress under the Doteasy Softaculous App Installer section. 2. 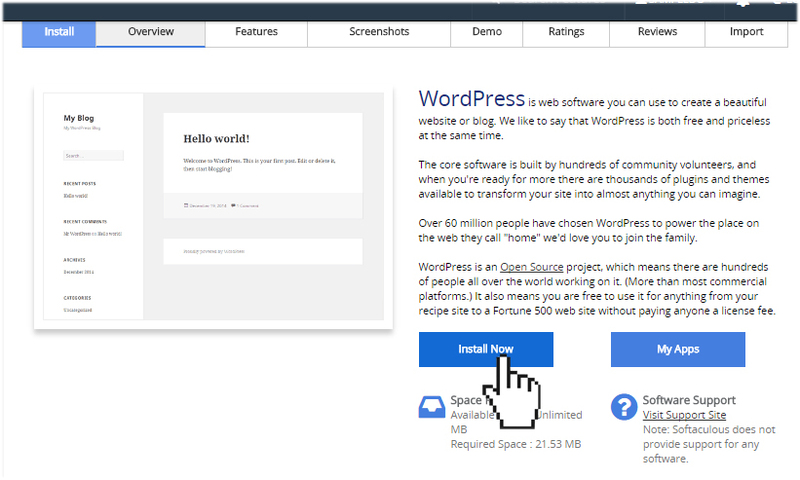 On the WordPress screen, click Install Now. 3. On the WordPress installation screen, use the Choose Domain drop-down menu to choose the add-on domain you want to install WordPress on. 4. Fill out the rest of the setup form to complete the installation process. And that’s how the Doteasy Unlimited Hosting plan can help you save money on managing multiple websites! It’s undeniably a very convenient and economical option if you own multiple domains. If you ever get stuck, feel free to get in touch with any of our customer support specialists.